Everyone has experienced some degree of joint pain in their life. Whether it’s from running, lifting or just carrying out normal daily activity, joint pain and stiffness can occur. 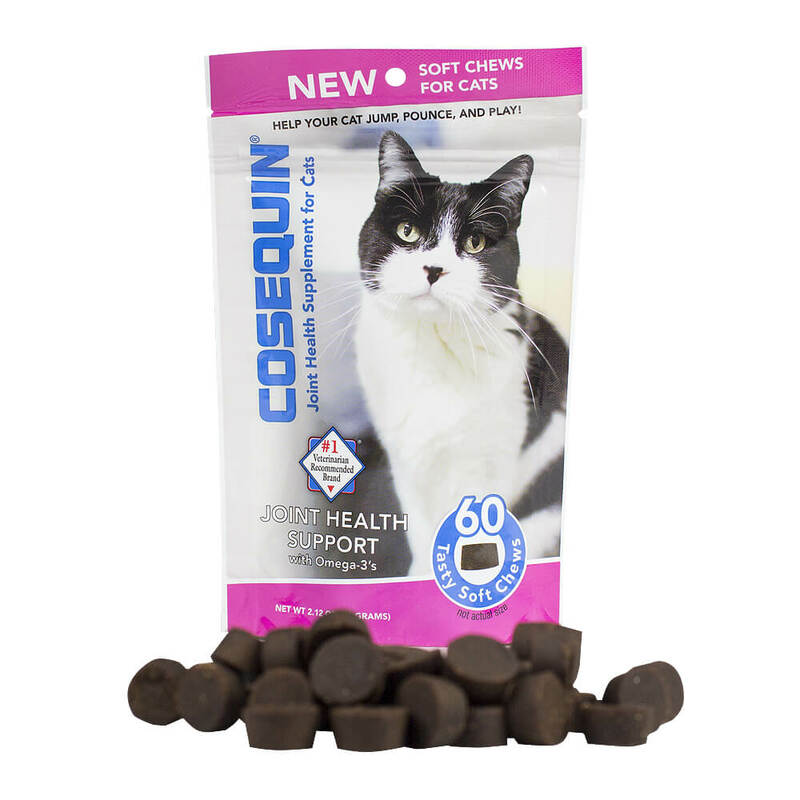 Our pets are no different and we must take care to keep them in peak physical condition. We can do this by feeding them a correct diet, making sure they get daily exercise, and by adding a joint supplement to their diet. Joints can become damaged, not only from injuries, but also from every day stressors such as casual or strenuous physical activity. When inflammation occurs, white blood cells, enzymes, and free radicals enter the joint space causing damage to the cartilage. Not only is this extremely painful for your pet, but once the cartilage is damaged it can never heal 100%. This loss of cartilage and the smooth surface associated with a perfect joint are the reason for pain and decreased mobility as our pets age. 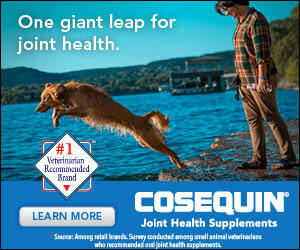 Prevention of problems, rather than treatment, will result in healthier joints and a happier pet. Your pet’s joint fluid and cartilage will protect the joint by cushioning the shock from running, walking, and even standing. 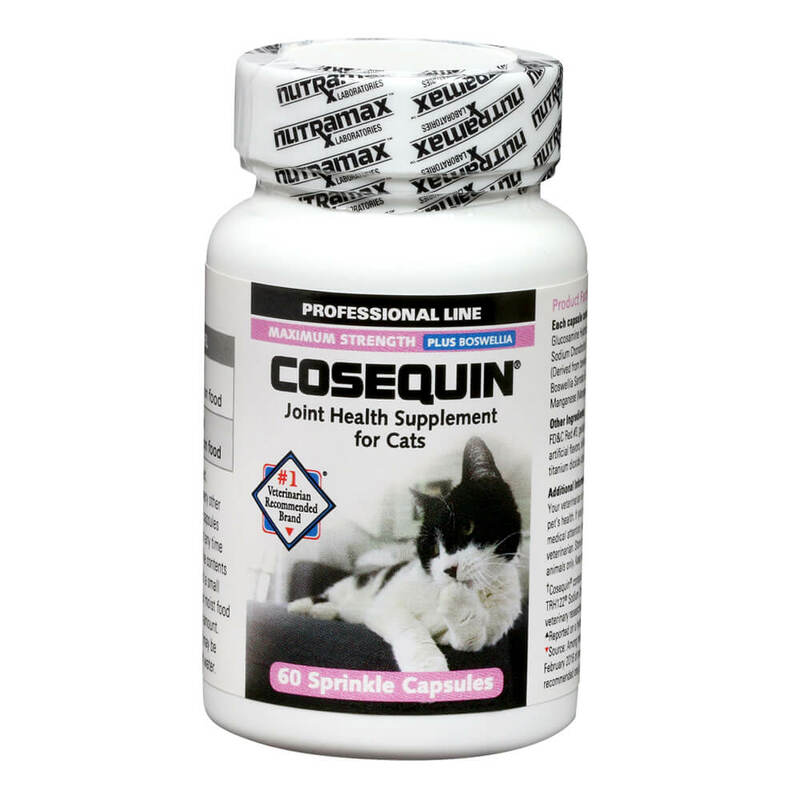 Certain joint supplements that are high in quality glucosamine, chondroitin, and MSM help protect your pet’s joints and support healthy cartilage production. 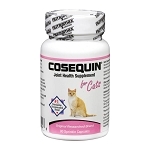 Glucosamine is a building block of cartilage tissue. Cartilage, the tissue found at the ends of the bones and along the joints, is a sponge-like mass of cells that acts like a cushion to the joints. 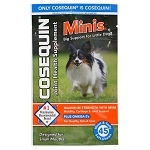 Glucosamine is found naturally in the body and is composed of glucose and an amino acid, glutamine. 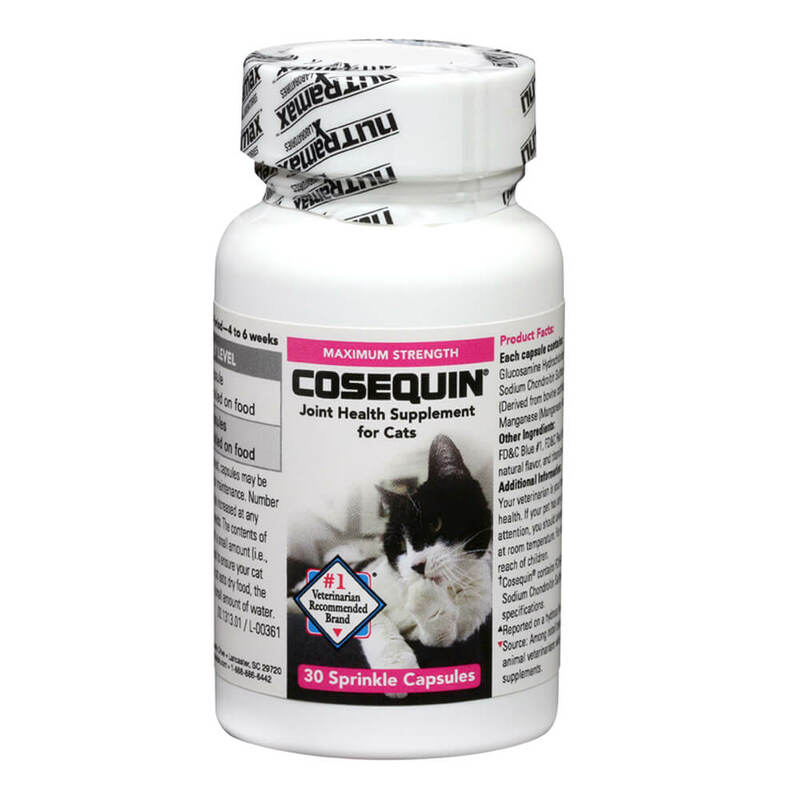 It helps produce glycosaminoglycan, which is used to build and repair cartilage and other tissues. 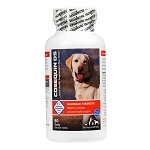 Glucosamine is also often combined with Chondroitin. 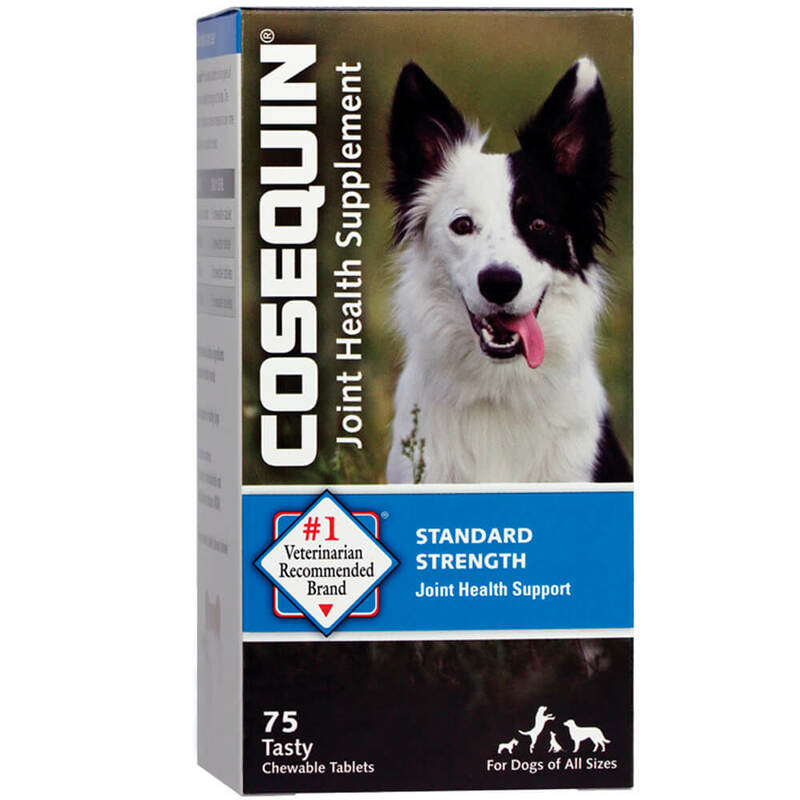 Chondroitin helps block enzymes that break down cartilage. 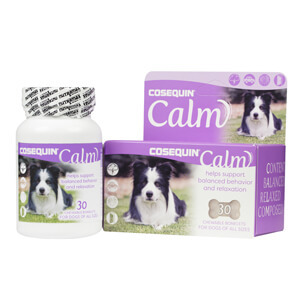 Methylsulfonylmethane or MSM, is also often combined with Glucosamine, it is known for its anti-inflammatory effects, which helps aid in relieving the pain of arthritis. 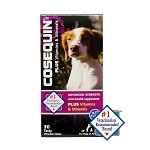 Glucosamine can be found in two different forms, Glucosamine Hydrochloride (HCl) and Glucosamine sulfate. 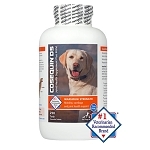 They both work well in pets, however, the Glucosamine HCl is purer and provides more Glucosamine per unit weight. 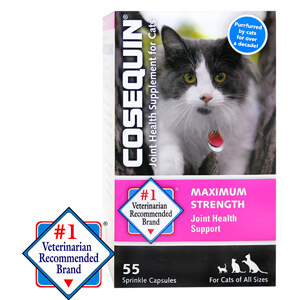 Cosequin is a registered trademark of Nutramax Laboratories, Inc. Used with permission. All rights reserved.